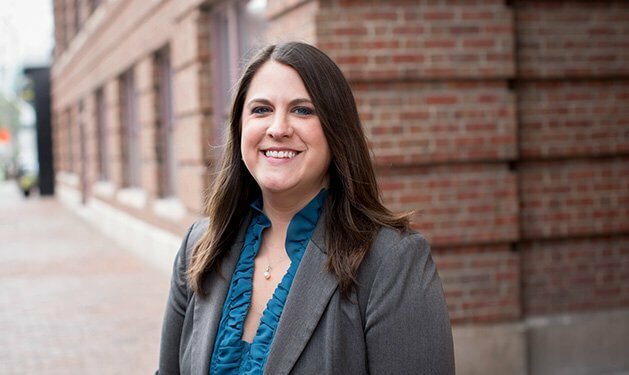 Sarah G. Hess has represented criminal defendants in federal and state courts in Missouri and Kansas since graduating from law school in 2013. She has experience handling matters from the investigation stage, through trial, appeal, and post-conviction. Sarah attended the University of Missouri-Kansas City School of Law were she was a Program Editor for the Urban Lawyer and a member of the UMKC Law Review. During law school, Sarah served as an intern for the Honorable Judge Robert E. Larsen, United States District Court for the Western District of Missouri, and a law clerk for the judges of the Wyandotte County, Kansas District Court. She also worked as a research assistant for the Midwest Innocence Project and was the president of the Midwest Innocence Project Student Organization. Prior to law school, Sarah attended Kansas State University where she earned a degree in Journalism and Mass Communications and a minor in Political Science. While at K-State, Sarah was the editor-in-chief of the Royal Purple yearbook, the nation’s most decorated collegiate yearbook. Upon graduation, she worked as a legal assistant at law firms in Olathe and Overland Park, Kansas.